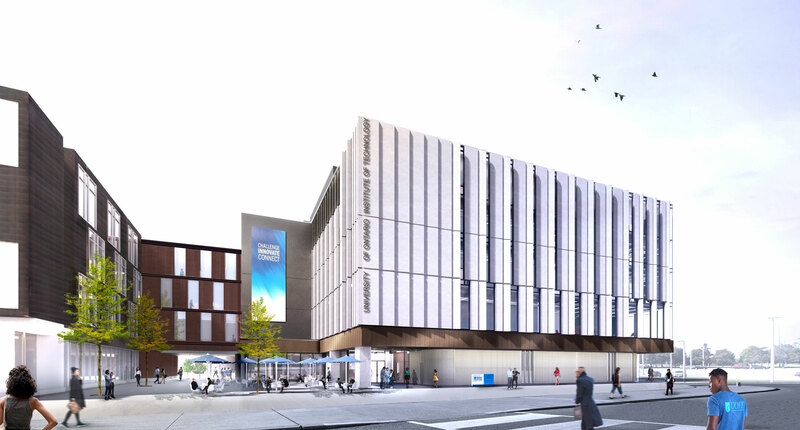 The new UOIT Academic Building is an investment in the quality of the Oshawa Campus with a range of formal and informal program spaces that contribute to a richer user experience and a sense of community. 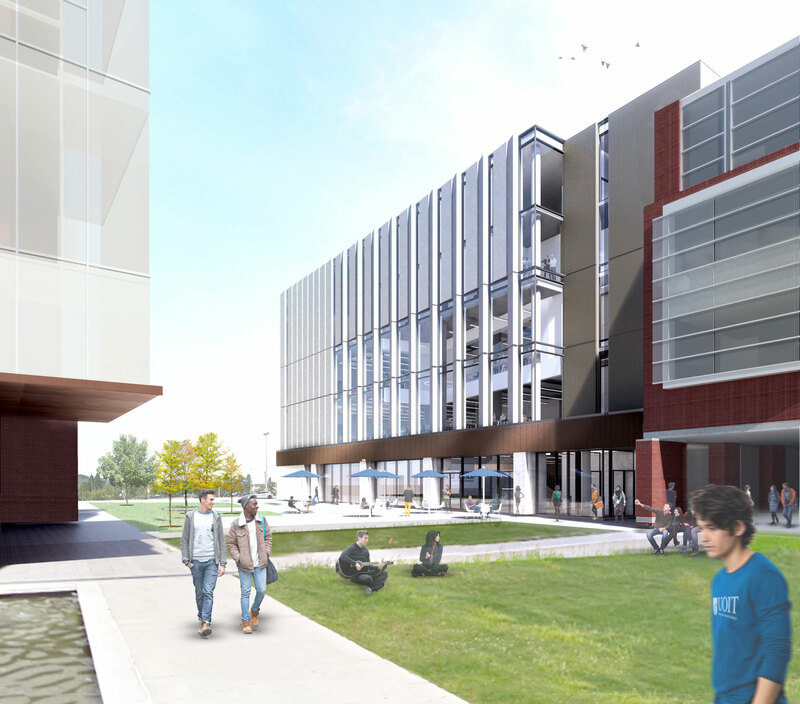 Occupying a unique corner condition, it is designed to enhance campus legibility, complete the Polonsky Commons and serve as a primary connector between different people, places and programs. 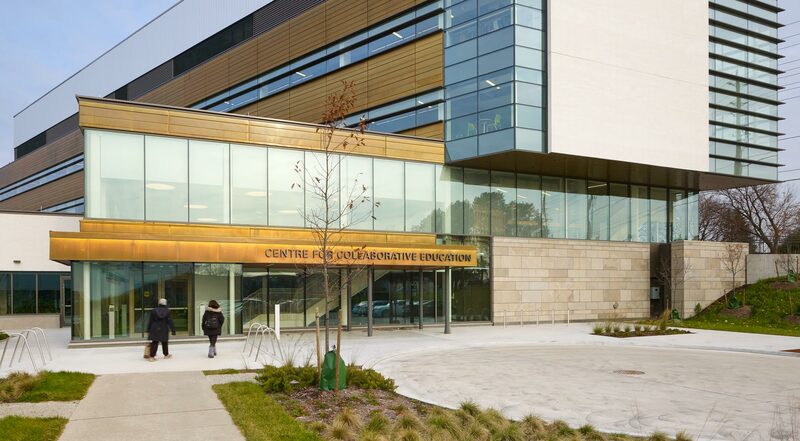 The building delivers 80,000 sq.ft. 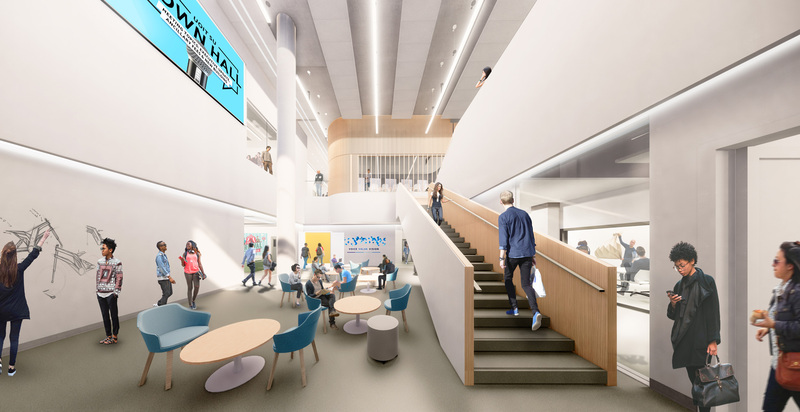 of new, technology-enhanced academic, administrative and student support spaces as well as a range of amenity and social spaces. 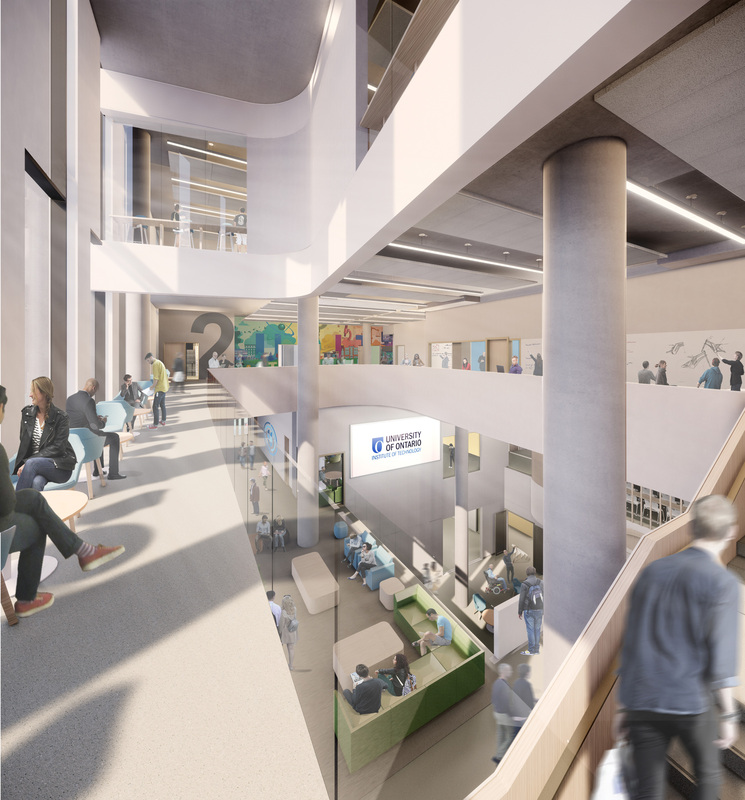 On Levels 1 and 2, student union, enhanced-learning, lounge and study spaces are arrayed around a large open atrium, activating the perimeter and animating the building frontages. 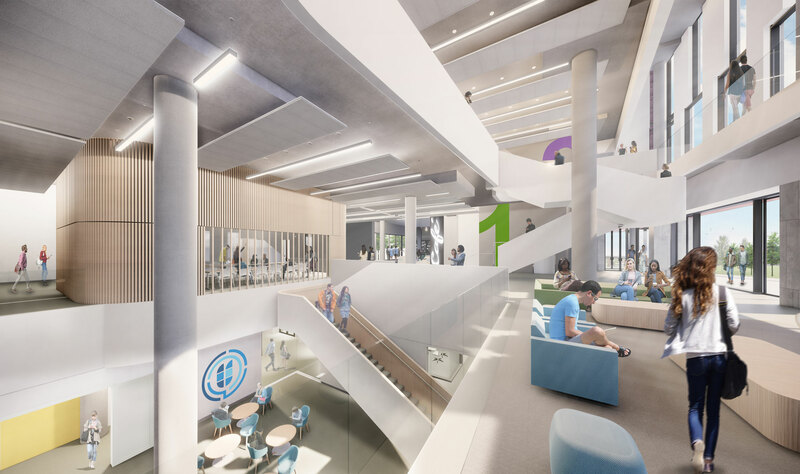 A feature stair connects the activities and animation of these floors with the Lower Level student club space and conference centre. 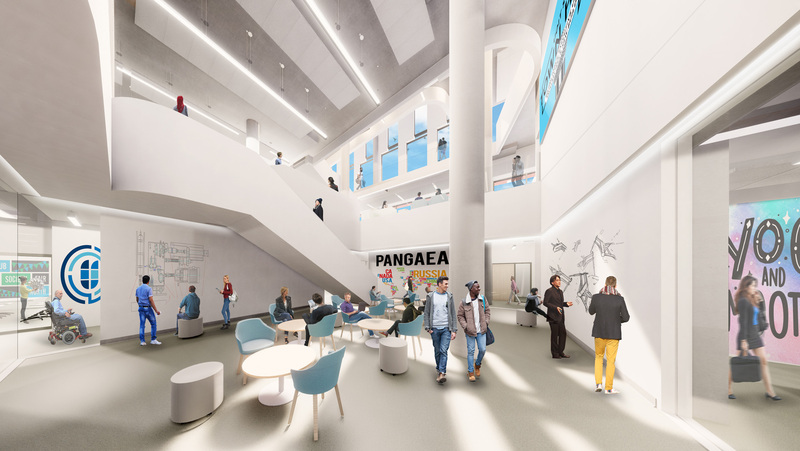 These open, high traffic functions give way to more private, acoustically sensitive areas on Levels 3, 4 and 5 where Student Life amenities, classrooms and administrative offices are located punctured by more modest social space typologies for quieter study. 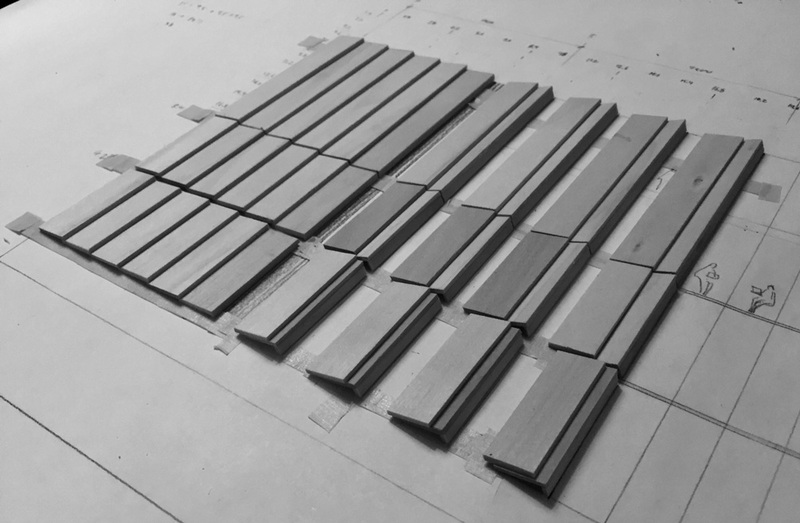 An optimal structure grid was developed and applied to allow inherent flexibility in the floorplan without compromising access to windows. 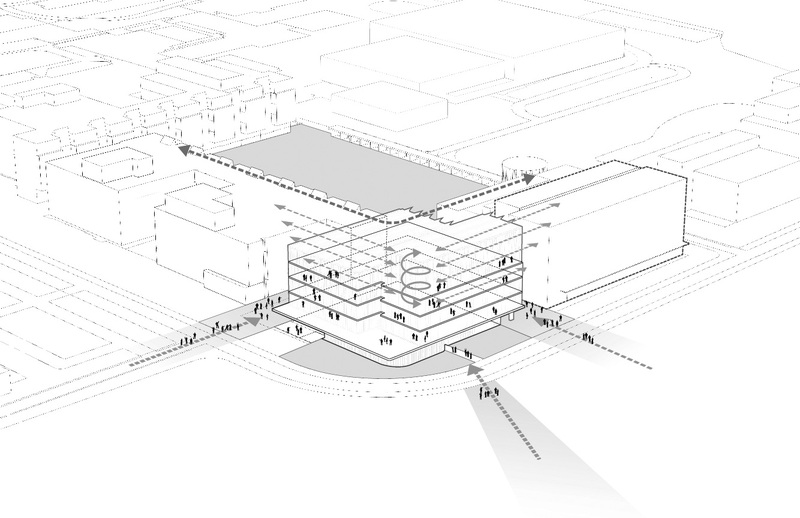 The building responds in height, massing and set back to both the existing adjacent ERC building and future expansion and supports floor-to-floor connections between all three structures. 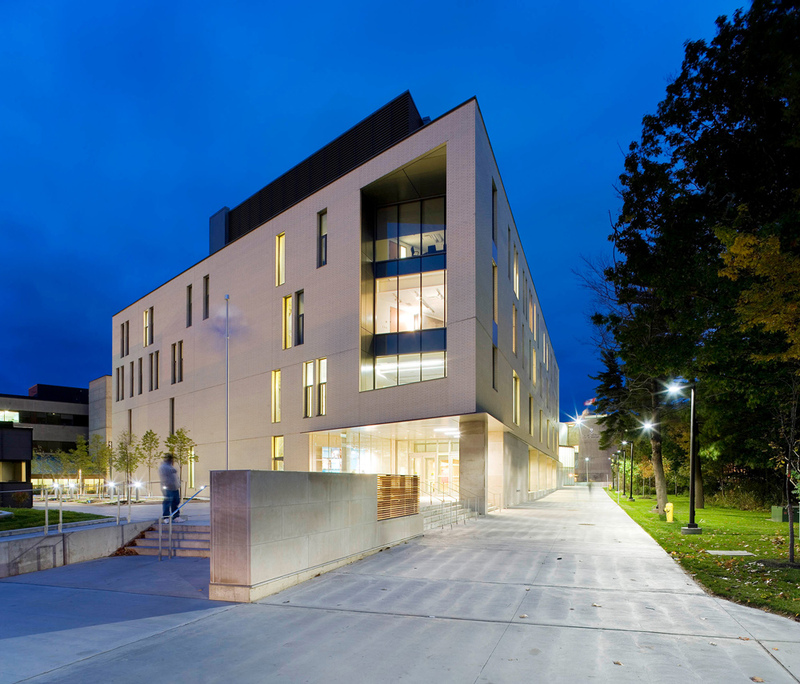 Distinct yet complementary materials – concrete, metal, wood, and stone – offer it a unique expression and tactile quality that is sympathetic to the existing campus fabric. 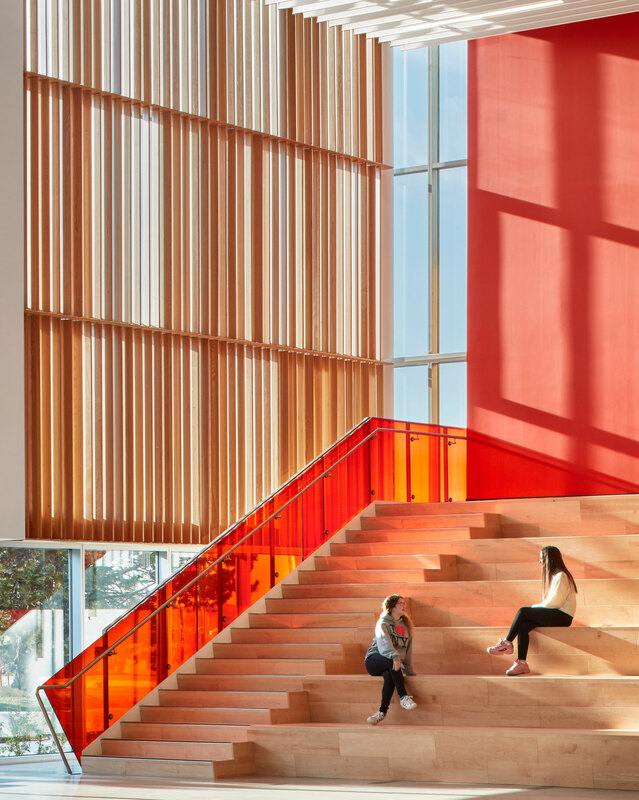 In particular, shaped concrete panels are used to create a playful exchange between light and shadow, weightlessness and mass during the course of the day. 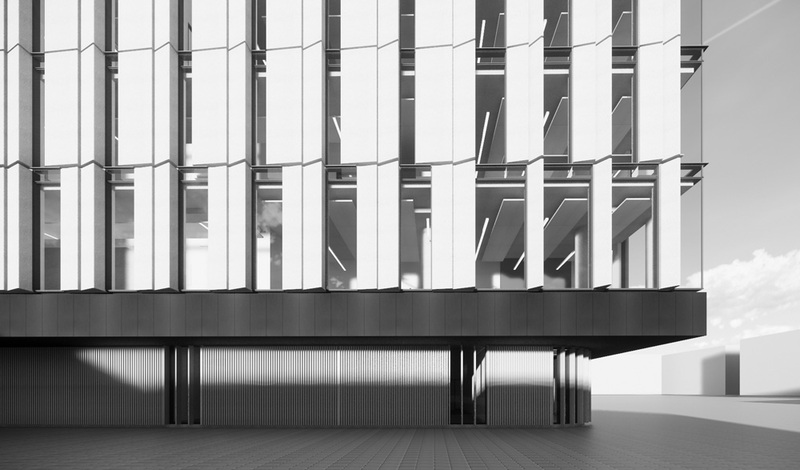 A plinth and canopy wrap around the building at the ground floor to create a human scale at the street level. The project is in joint venture with Architecture Counsel.